On this page you will find an article written by Joan Navarre. One hundred years ago, Soho was known and celebrated as the violin making centre of the British Isles, and Wardour Street was the headquarters. In 1898, the violin dealers located on Wardour Street included Beare and Goodwin, Hart and Son, Edward Withers, and Georges Chanot. Today, they are all gone. However, a vivid reminder of this illustrious past remains: a building located at 157 Wardour Street,the former shop of Monsieur Georges Chanot III (1831-1895), still stands. has just been recently accquired by the Bate Collection at the Oxford Faculty of Music. Georges Chanot was the youngest son of an eminent violin maker. He left France in the late 1850s and set up shop in Soho. 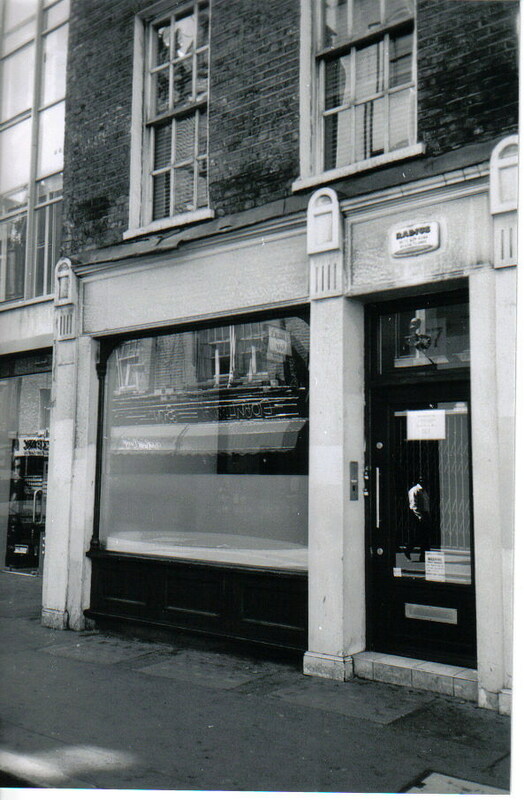 He worked with Maucotel in Rupert Street. After Maucotel’s retirement in 1860, Chanot took over the business and eventually moved to Wardour Street (Two Centuries of Soho, Its Institutions, Firms and Amusements, 1898, p. 227). 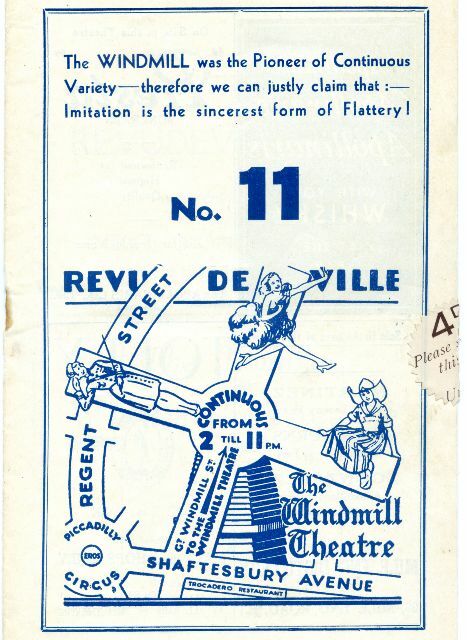 His first location was 86 Wardour Street, and by 1862 he was at 103 Wardour Street, which, by 1879, was renumbered 157. Photograph courtesy of Barbara Hopwood. This rare photograph captures Chanot standing in the doorway, next to his window full of violins, stringed instruments, and curiosities. Normally, he would be inside, working at his bench and wearing a sleeved waistcoat, a black apron, and a green and black velvet cap over his long white hair. The sign hanging over the doorway advertises that this is a violin maker, while the coat of arms puts the crowning touch on the word quality. 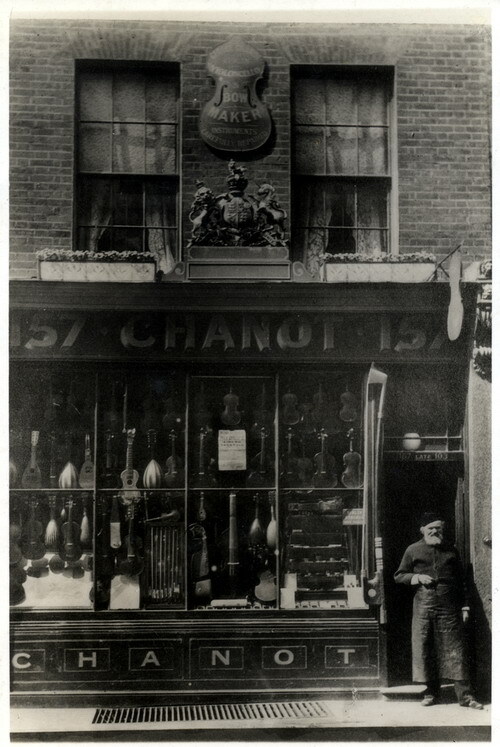 Chanot was, by Royal Warrant, a Violin-maker to H.R.H. The Duke of Edinburgh. It was here that Edward Heron-Allen, F.R.S. (1861-1943), English polymath, Soho solicitor, sometime Vestry Clerk of St. Anne’s, studied under Chanot, made two violins (1882-1883), and was inspired to write his famous book Violin-Making, As It Was and Is (1884). Heron-Allen was the youngest son of George Allen (1827-1911), the eminent Soho Solicitor and Vestry Clerk of St. Anne’s. The family law firm, Allen & Son, was located at 17 Carlisle Street, and one can imagine Heron-Allen walking briskly through the narrow passage of St. Anne’s Court in order to visit Chanot’s shop. It is a wonderful place, is Chanot’s shop. The window glazed with small dingy panes in the manner of a century ago is heaped up with masses of every kind of old & new bow instrument, English & foreign. . . . The promise of the window is amply fulfilled by the shop. . . . The instant you enter it you can see that its owner is not a tradesman but an artist. Every inch of wall surface not covered with instruments in cases and out of them is occupied with photographs of ancient fiddles, etchings & engravings of great fiddlemakers and players. In a corner stands a magnificent cabinet of ebony inlaid with ivory of the best renaissance works, this and another behind the counter inlaid with tortoise-shell is full of fittings old & new, rubbish of all kinds such as a collector loves to gather round him. . . . Sometimes when Chanot is particularly good humoured, I have hunted these cabinets & found manuscript notes in the writing of Vuillaume, & Maucotel that hold secrets coveted throughout the fiddlemaking confraternity. . . . It is a wonderful place this atelier of Chanot’s. Every time the spirit moves him to unlock some new or unexplored drawer or one of the dusty cases piled in heaps all over the place, he discloses some new & unique treasure. . . . The next time you are strolling through Soho, head for Wardour Street, with 157 Wardour Street as your destination. Consider the street, as it was and is; observe Chanot’s shop, then and now.Today the windows are empty, and the workshop is gone. Gone too are the violins, the photographs, and the etchings and engravings of great fiddlemakers and players. However, Monsieur Georges Chanot III was here. He wore a black apron, and a black and green velvet cap over his long white hair. He quietly performed miracles of violin making, and he made significant contributions to the history of the violin, to Heron-Allen’s life, and to Soho. R.I.P., Georges Chanot, violin maker, teacher, historian, collector, bohemian, and, above all else, artist of great note. INGENIOUS INSTRUMENTS | A Free App Available For iPhone From MK&G Hamburg. Acknowledgements: Heron-Allen’s essay, ‘An Afternoon with Chanot’ is housed at the Royal College of Music (Heron-Allen Collection).Excerpts have been made available with the kind permission of Ivor E. Jones, grandson of Heron-Allen and copyright holder,and the RCM. The photograph of Chanot (circa 1880s) is reproduced thanks to the generosity of Charles Beare, J&A Beare.I am grateful to Roy Harrison,City of Westminster Archives Centre, for helping me with my research.